Every parent knows that the best way to make a little one laugh is to be as silly as possible. Children have a soft spot for the absurd, the ridiculous and the downright surreal. And picture books don’t come much more absurd, ridiculous and downright surreal than Oi Frog! and its four sequels – Oi Dog!, Oi Cat!, World Book Day title Oi Goat! and newly published Oi Duck-Billed Platypus! The hilarious series by writer Kes Gray and prolific illustrator Jim Field (when does this man sleep?!) has picked up multiple accolades and sold staggering quantities since the first book hit the shelves in 2015. Image from the original book, Oi Frog! There’s a frog, a cat and a dog. The frog is sick of sitting on a log but when he tries to find a more comfortable chair, the cat informs him there is a strict etiquette to follow. Thus ensues a tongue-twisting saga about silly seating scenarios that involves an army of other animals, with lions perching precariously on irons and newts atop flutes. Some of the seating scenarios in Oi Dog! The marriage of Kes Gray’s rhyming wordplay and Jim Field’s surreal artwork is just riotous, guaranteed to make little bookworms LOL and leave parents with a dry mouth as they try to wrap their tongue about phrases like “cheetahs on fajitas”. It’s not just for laughs though – the book builds your child’s vocabulary and the dialogue is perfect for doing funny voices, should you be that way inclined. I always try but get my dog and frog voice mixed up. The cat is naturally the posh evil genius so easier to remember. The frog takes control of the rules in Oi Dog! The cat doesn’t want to sit on a gnat in Oi Cat! What’s especially impressive is how they have managed to keep the joke going, with each book a fresh twist on the original theme but enjoyable as a standalone story. They all peak with a chucklesome punchline too. The only deviation is Oi Goat!, created as a £1 World Book Day title, which takes the rhyming concept and wittily puts the animals in items of clothing, including children’s book character costumes. Think a Comic Relief special episode of your favourite sitcom and you get the idea. The animals wear costumes for World Book Day in Oi Goat! And so to the new book. This time, the frog takes charge when a duck-billed platypus and her friends with equally impossible-to-rhyme-with names want to know where they are allowed to perch their behinds. His smart solution is to use their first names, meaning that Kate the kookaburra sits on a gate, Lemony the lobster sits on an anemone and Ivana the ibex sits on a banana. There’s a new dilemma in Oi Duck-Billed Platypus! 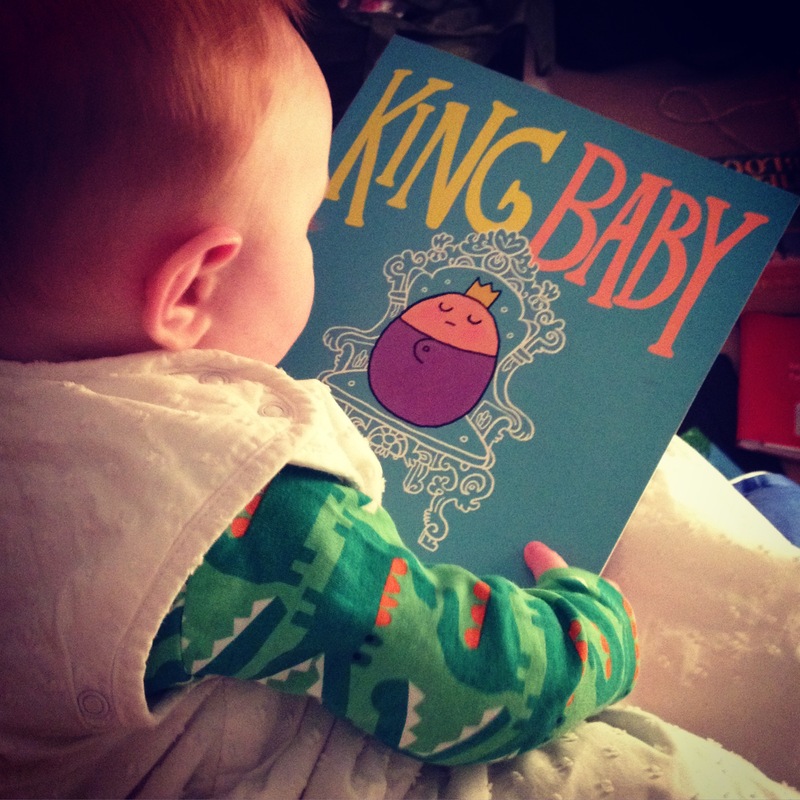 This latest instalment was an instant hit with Baby Bookworm, although he has a tendency to repeat and chew over the scenarios, meaning we spent a lot of time discussing Ivana’s bananas and Claire’s pears. As the frog and the cat both point out, the whole thing is ridiculous…. ridiculously good fun. Oi Duck-Billed Platypus by Kes Gray and Jim Field is out now. £12.99 (hardback), Hodder Children’s Books.